Make your next home a custom one. Luxury living is just a call away. Relax in your new custom home. 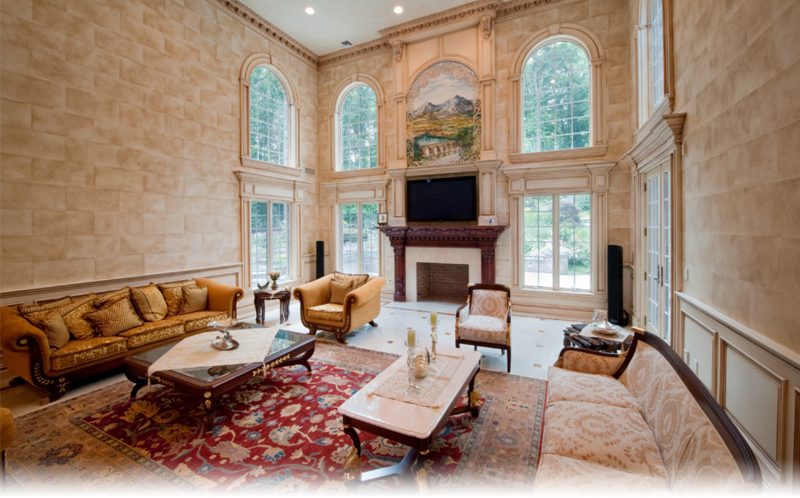 One new necessity in luxury home living is home automation technology. This home automation technology allows homeowners to remotely control their custom home lighting, locks, surveillance cameras, heat, air conditioning, sprinklers, music, television, DVD, Blu-Ray, and video game systems from the comfort of their couch. New home automation technology even allows homeowners to control various features and appliances from their computer or smart phone. For example, families can keep an eye on teenage children from their phone while away on vacation. With home automation, homeowners can also set schedules for specific lights to turn on and off in order to save on their electric bill. For families with multiple homes, these home automation and automation systems will be extremely valuable. Naturally, this custom home amenity is all about convenience. Homeowners will never have to get off the couch to turn off the lights and start a movie. Music can be turned on in specific rooms with the home speaker system and home automation technology. It’s almost like having your entire custom home in the palm of your hand wherever you go. But the home automation systems have a number of other advantages as well. They foster safety and security of custom homes with automated locks and surveillance. Custom home automation can also lean towards cost-effective, green technology. With these systems, heat and air conditioning can be turned on and off as needed. Whether on vacation or on the way home from work, homeowners can prepare the temperature of the home for their arrival without wasting money on unnecessary heating or cooling. Aside from the tremendous convenience, these additional factors of safety and energy-efficiency make home automation systems extremely worthwhile. Kevo Homes provides home automation installation services for homeowners looking to relax with luxury convenience. To learn more about home automation and other custom home amenities, visit our custom home amenities page. 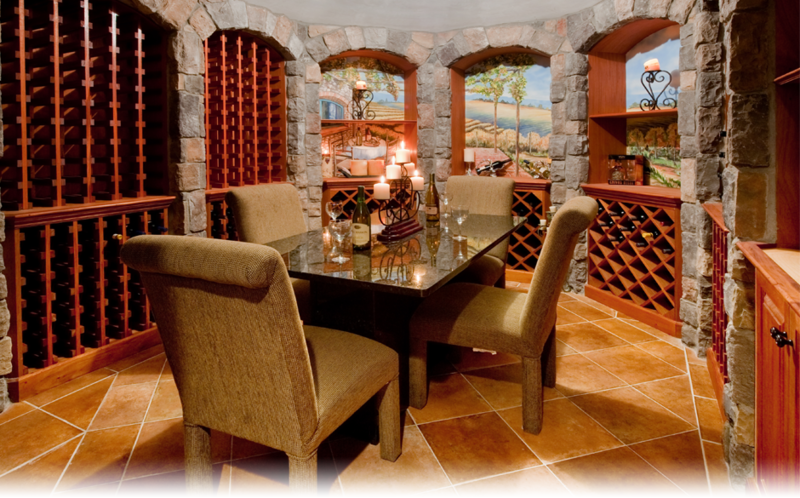 Experience may be the most essential quality of the right custom home contractor. Custom home contractors prove themselves and gain knowledge and skills from experience; a custom home contractor who has been around for a while has probably seen and done it all. Homeowners should familiarize themselves with the length and range of experience of a custom home contractor. Their experience should suggest a broad skill set and an adequate length of time to hone those skills in the field. Homeowners can review contractors’ experience by gaining information about the company online, reviewing their credentials, and viewing their work. While a custom home contractor must have experience, they must also have credibility. This step in choosing the right custom home contractor will help homeowners feel safe. By reviewing a home contractor’s legal background or looking them up in the Better Business Bureau, a homeowner can get a feel for who they are hiring to build their custom home. Past complaints, lawsuits, or filings for bankruptcy should be a red flag for homeowners who choose to review contractor credibility. Choosing the right custom home contractor might very well depend on this important step in the process. Homeowners can get a feel for custom home contractors very early on in the process through the company’s strength of leadership. Owners and management involved in the day-to-day operations, as well as the initial meetings with clients, will be a good sign. This strong involvement of management will assure homeowners of a clear line of communication with the person in charge. The leadership also suggests that the company has clear direction from an experienced custom home contracting professional. As mentioned in the first tip, homeowners should review the work of every custom home contractor. This will give them a good idea of their experience in each aspect of building a custom home, but, equally important to that, a review of their portfolio will also provide a first-hand look into the custom home contractor’s ability and skill. One can look at the level of detail, the features and amenities offered, and the overall appearance of the design and construction. 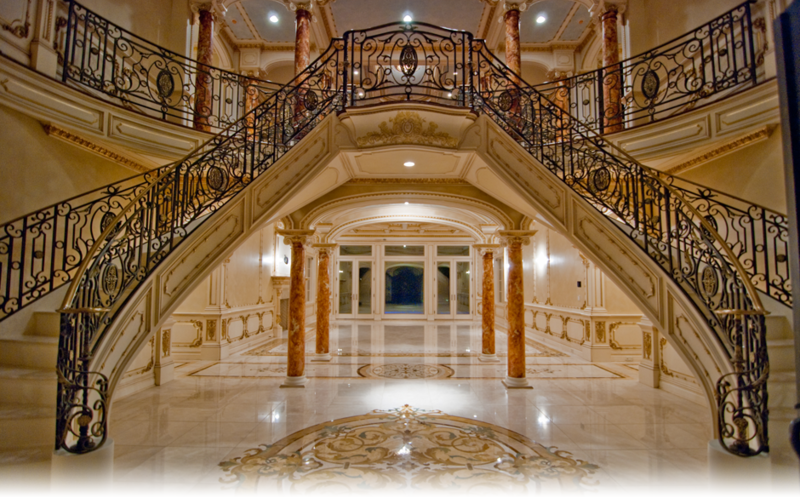 Talent and skills are difficult to hide, photos of luxury homes should be thoroughly scrutinized for any imperfections. 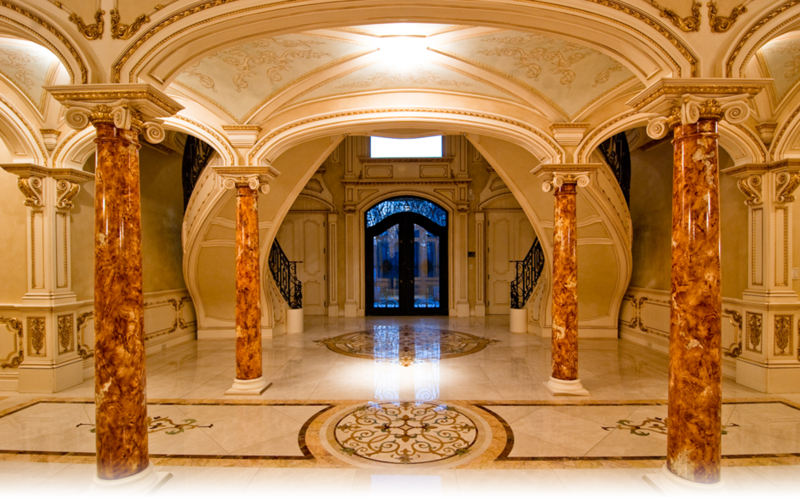 The right custom home contractors will showcase immaculate work with tremendous skill. Custom home contractors are only as good as the company they keep. This means that the right custom home contractor will do most of the work himself and partner with only the best subcontractors in their given profession. Homeowners who want to paint the best picture of a contractor will review any subcontractors used for their project. These companies can be reviewed on the same fundamentals as the custom home contractor himself. Looking into professional partnerships and subcontractors will provide a thorough depiction of the home contractor and ensure homeowners that their luxury home will be constructed in flawless fashion. Have you ever wanted to watch TV from your swimming pool? On a beautiful day, have you ever wished your whole living room were outside? Custom home designs have the answer to this seemingly wishful thinking. A rising trend in the custom home design industry has begun to turn homes inside out. In other words, custom home designs are quickly bringing every luxury of indoor living through the backdoor and into the outdoor living area. Today, custom home residents can relax comfortably in an outdoor living room, cook up a three-course meal in the outdoor kitchen, have drinks at a swim-up bar, or spend a romantic night in front of the outdoor fireplace. With fully-equipped cabanas, outdoor kitchens with every appliance, outdoor fireplaces, fire pits, new outdoor lighting technology, and luxurious pools, landscapes, and masonry structures, custom homes allow families to comfortably enjoy their back yards at all hours and in every way. Why the new custom home design trend? The luxury inside custom homes has inspired homeowners to bring the same level of ease and comfort to the outdoors. In addition, one might argue that the comfort of today’s custom homes makes it difficult to leave the house and go on vacation. As a result, homeowners seek to provide a resort-like atmosphere in their very own back yard. On a more literal level, bringing the indoors out has also reached a turning (or sliding) point for custom home designs. Picture a living room with a large window looking out onto the outdoor living area. The window is actually more of a glass wall, from floor to ceiling and wall to wall. Suddenly on a beautiful day, at the push of a button, the glass wall opens and brings the swimming pool or dining patio right into your living room. New, floor-to-ceiling, sliding glass walls can now run on tracks and be automatically opened to transform rooms inside custom homes into a sheltered patio area. With technology like this, the custom home design industry cannot deny the trend of turning custom homes inside out. Whether literally bringing indoor living rooms into the open air or providing an outdoor living room itself, today’s custom home designs have the ability to extend the luxury of custom home living to the entire property rather than just the home.